Award-winning writer Warren Ellis (TREES, SUPREME: BLUE ROSE, Moon Knight), award-winning artist Declan Shalvey (Moon Knight, Deadpool), and award-winning colorist Jordie Bellaire (PRETTY DEADLY, NOWHERE MEN) will launch a new story arc in their ongoing genre-defying series INJECTION this January. Previously in INJECTION, five geniuses poisoned the 21st century, and then scrambled to save the world from a terminal case of weird. 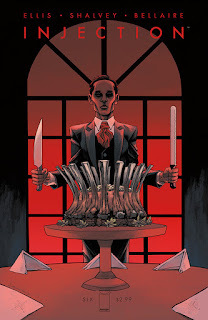 INJECTION #6 opens in New York, where consulting detective Vivek Headland takes on a case that quickly invokes a murderous sandwich. 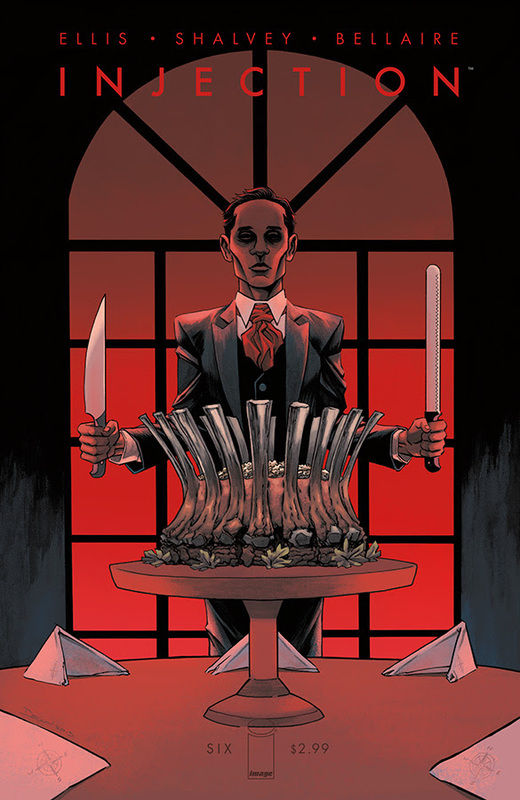 INJECTION #6 Cover A by Declan Shalvey and Jordie Bellaire hits stores Wednesday, January 13th.